Get in contact to schedule a day long course in your community. Minimum 3 students. We meet from 9am-5pm at a location of your choice. The regular registration fee of $90 covers the cost of attendance and materials. Registration closes a week before class starts. 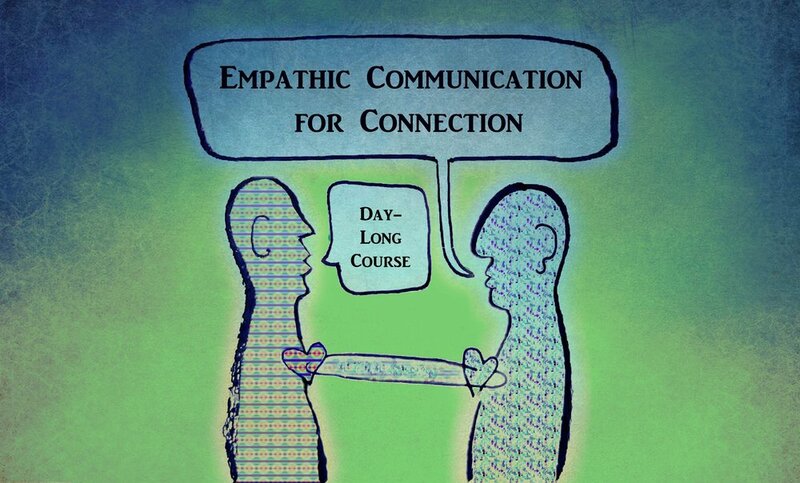 For those who can’t attend the 4-week series, here is a full Saturday of intensive empathic communication practice. We will cover the same material as the 4-week series but in a condensed form. Please plan to attend for the entire day and to bring a lunch with you so that we can maximize our time together. Healers, mental health professionals and emotional caretakers get 50% off registration with code COMMUNITY50! All registrants can invite friends for 25% off with code FRIEND25. This is a wonderful group to bring your friends, partner or family as we will be practicing together in pairs and small groups. Transform your communication into a more life-serving and connection-fostering practice with group support.